Forget about all the things you thought you knew about the lottery! There's no such thing as "lucky" numbers. Don't believe in horoscope readings and numbers recommended by so-called "fortune gurus". And don't believe that using birth dates and anniversaries will help you win the jackpot because statistics show that number combination based on calendar dates is a poor strategy as shown below. There's no such thing as "hot" and "cold" numbers. 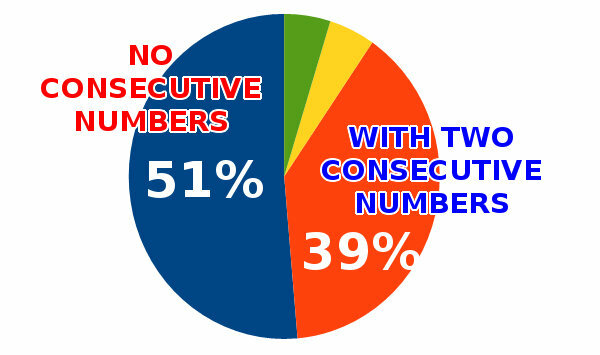 Some people create combinations based on the frequency of numbers being picked. People tend to choose numbers that are "hot" (appear more frequently in winning combinations) and avoid the "cold" ones (don’t appear often, if at all). Truth is, hot and cold numbers don't matter at all due to the randomness of how numbers are drawn in the lottery. Remember that when you play Irish lottery online or offline, it takes 6 numbers to win a jackpot. History shows that the winning combinations have hot and cold numbers. 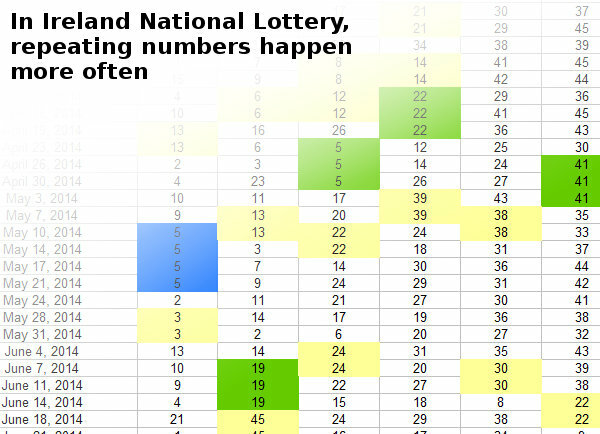 In Irish Lottery, 2, 3, 6, 12, 38, 39 are considered hot numbers but picking them altogether shows no proof of success as shown below. not appearing on the next draw. Based on the previous results of Irish Lottery from January 2014 to May 2015 Draw, There are repeating numbers that appear in two, three, and even four consecutive draws! The problem is, you can't tell which number will repeat on the next draw. There's no way for anyone to predict a winning combination. 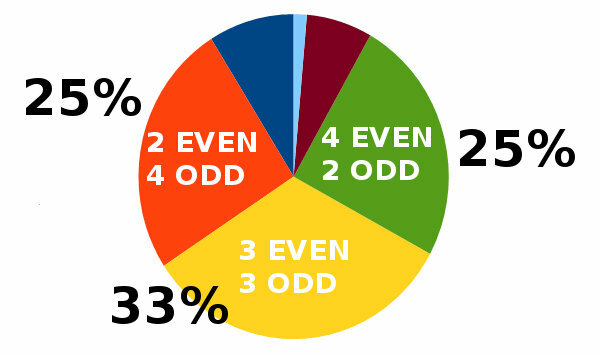 Due to the sheer randomness of numbers picked during a lotto draw, there is no way of predicting a winning combination - not even by using a method or a powerful computer! 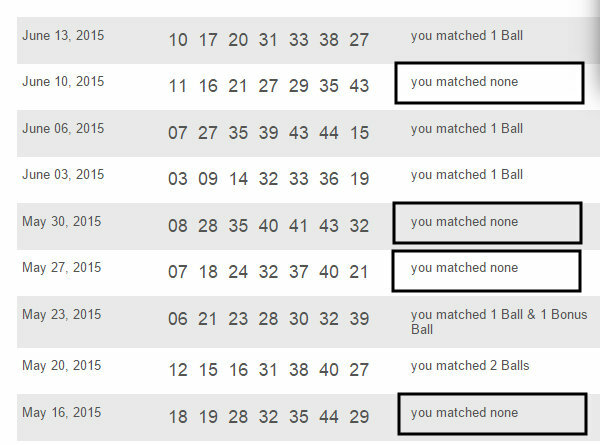 There's a way to predict the numbers that have greater chances of getting picked during a draw! Brazilian mathematician Renato Gianella found out that you can predict numbers that are likelier to appear than others! This is done by following the same "behavioral patterns" as predicted by the Law of Large Numbers—which states that when an event is repeated many times, the average of the results from all events should be close to the expected value. With continuous experimentation, Gianella's newfound method of playing the lottery showed that the lottery is nothing more than a representation of the probabilistic theory and the Law of Large numbers. According to Gianella, the key to winning the lottery is to know patterns that come out more frequently. 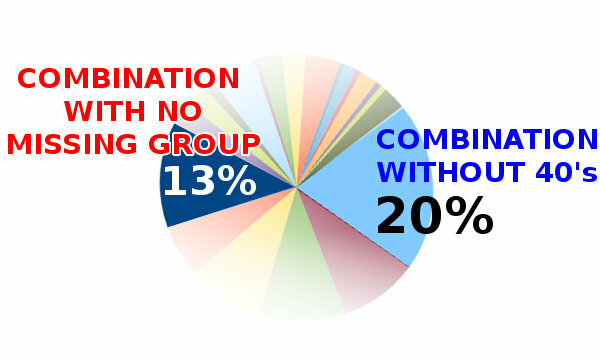 This is the reason why combinations like 1,2,3,4,5,6 or 41,42,43,44,45,46 will never get drawn (not in your lifetime). So, what is the one simple trick to win the Irish Lottery? Forget about hot and cold numbers. Forget playing lottery with calendar dates such as birthdays and anniversaries. To increase your chances of winning the Irish Lottery, you have to play patterns that are proven to win over and over. Richard Lustig, who won 7 times in the lottery, suggests to avoid "quick picks" and computer generated numbers. The simple reason is that you will have more control of picking a winning pattern. By gaining a deeper understanding on how the Law of Large Numbers works, we can come up with different techniques to combine lotto numbers that will provide us with the best chances of winning the Irish Lottery. Below are four winning patterns guaranteed to increase your chances using the actual Irish Lottery Results from January 2014 to May 2015. Note: The statistics used for this experiment was taken from previous 6/47 Irish Lottery draws (January 2014 to May 2015) as opposed to the new Irish Lotto 6/47 game structure. Regardless, the Law of Large Numbers still applies to the findings of winning patterns. Low numbers refer to the first half of the 47-number lotto (1-22) while high numbers refer to the last half (23-47). As mentioned earlier, a pattern of all low numbers or all high numbers is not a winning combination. Instead, distribute high and low numbers evenly in your combination to boost your chances of winning! 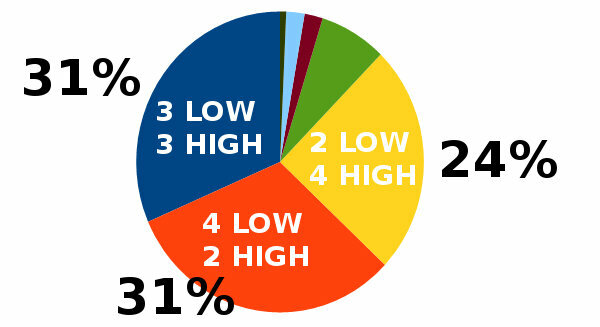 The patterns of combining 3 high/3 low numbers and 2 high/4 low have a 31% chance of winning. The pattern of combining 4 high/2 low numbers in your combination only yielded a 24% chance of winning. You should try using the first two patterns when coming up with your lotto combinations. Additionally, dividing the lotto numbers from two groups into three (low, mid, high) produces more interesting results. and 2 low/1 mid/3 high appeared 10.96% of the time. Among the groups, the pattern that provided the highest chance of winning is the 3 even / 3 odds with 32.88%. The 2 evens / 4 odds (25.34%) and 4 odds / 2 evens (24.66%) are also winning patterns, but not as much. Coming up with equal numbers of odds and evens in your 6-number lotto combination gives you the highest rate to win the jackpot. Not surprisingly, the most winning pattern is the one without any consecutive number at 51.37%. 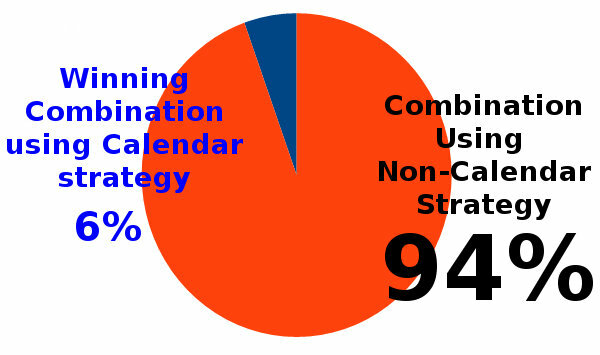 The pattern with two consecutive numbers is not far behind with 39.04%. It is advised, then, that you play multiple games in a draw. Use a pattern without consecutive numbers with one game and with two consecutive numbers in the other. Based on the Ireland National Lottery results, there is a 20.55% chance that the winning pattern does not include numbers from the 40's group (40-47). To increase your chances of winning, you are recommended to remove at least one number group from your pattern. Now, think these four winning patterns are enough to help you win the Irish Lottery? Well, Part 2 is even more powerful. However, only subscribers of the Irish Lotto Newsletter can access the page. Enter your name and email address in the form below and we will send you the second part of this special report titled: "The Winning Irish Lottery Strategy That Works"
- I understand that by signing up, I will also receive the latest Irish Lotto results and other information related to Irish Lottery by email.